Cerritos, CA (April 1, 2016) – DW®, the industry leader in digital recorders, surveillance cameras and related management software, announces the release of the latest update for DW Spectrum™ IPVMS. The new v2.5 software adds powerful new features including a bookmarks engine and storage backup, performance improvements and improved support for multi-sensor cameras. 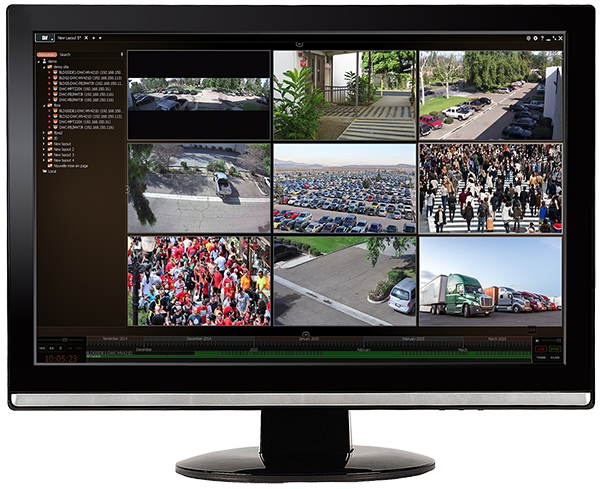 DW Spectrum IPVMS is an elegantly easy cutting-edge approach to HD surveillance, addressing the primary obstacles and limitations of managing enterprise-level HD video while offering the lowest total cost of deployment and ownership of any solution on the market. The software offers advanced search features to help you quickly find incidents or instantly review an exact date and time. The software is cross-platform, installs quickly and provides instant network mapping and discovery to start viewing your entire security system in minutes. DW Spectrum IPVMS is a perfect solution for any application that requires ease, speed, efficiency, and unprecedented image quality. New Mobile Apps - Brand new cross-platform mobile apps for iOS and Android with better performance, revamped design and consistent user experience across both Apple iOS and Google Android devices. Bookmarks - Users can create bookmarks for specific segments of archived video with names, descriptions, and tags either manually or via the Rules & Events engine. Storage Backup - Users can now set up scheduled or real-time archive backup of high-res, low-res, or all streams from selected cameras to local, NAS, or even cloud-based storage locations (e.g. ftp sites, Amazon Prime Storage, etc). PTZ Preset as an Action - Users can now set up rules to trigger a PTZ preset as an action (e.g. create a motion event on a fixed camera that triggers the PTZ to look at the spot where motion occurred). Alarm Layout - allows users to set display-camera-on-Alarm-Layout as an action (aka pop-up video on alarm). Live Video Text Overlay - allows users to create custom text overlays-as-an-action (including Generic Event API). If you are already running DW Spectrum IPVMS version 2.3 or higher, please use the auto update feature in the software itself. For auto updates, enter version 11500 in the remote update page and use the following password: d3om78.